There is a serious debate whether we can limit global warming to +2°C or not. 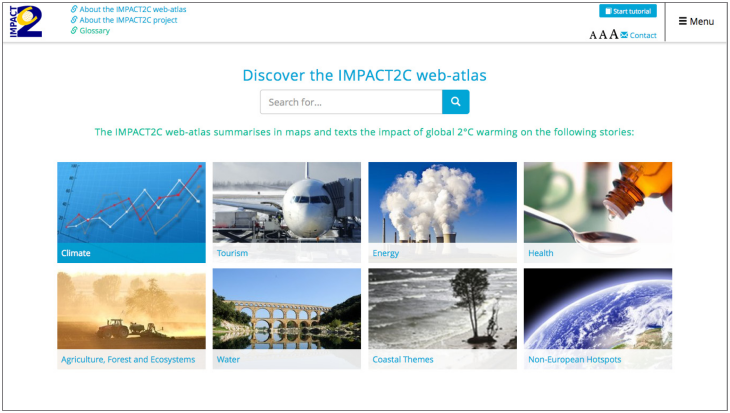 The IMPACT2C project provides information and evidence on the impacts of +2°C global warming for Europe and the key vulnerable regions of the world. IMPACT2C enhances knowledge, quantifies climate change impacts, and adopts a clear and logical structure, with climate and impacts modelling, vulnerabilities, risks and economic costs, as well as potential responses, within a pan-European sector based analysis. IMPACT2C utilises a range of models within a multi-disciplinary international expert team and assesses effects on water, energy, infrastructure, coasts, tourism, forestry, agriculture, ecosystems services, and health and air quality-climate interactions. First, harmonised socio-economic assumptions/scenarios will be used, to ensure that both individual and cross-sector assessments are aligned to the 2°C (1.5°C) scenario for both impacts and adaptation, e.g. in relation to land-use pressures between agriculture and forestry. Second, it has a core theme of uncertainty, and will develop a methodological framework integrating the uncertainties within and across the different sectors, in a consistent way. In so doing, analysis of adaptation responses under uncertainty will be enhanced. Finally, a cross-sectoral perspective is adopted to complement the sector analysis. A number of case studies will be developed for particularly vulnerable areas, subject to multiple impacts (e.g. the Mediterranean), with the focus being on cross-sectoral interactions (e.g. land use competition) and cross-cutting themes (e.g. cities). The project also assesses climate change impacts in some of the world’s most vulnerable regions: Bangladesh, Africa (Nile and Niger basins), and the Maldives. IMPACT2C integrates and synthesises project findings suitable for awareness raising and are readily communicable to a wide audience, and relevant for policy negotiations.